It’s like something from a legendary story of the sea. The Corryvreckan whirlpool is an enigma of Scotland’s west coast – its name alone conjures up maritime mysticism and might, translating as cauldron of the speckled seas. When we heard this, we knew we’d have to visit. 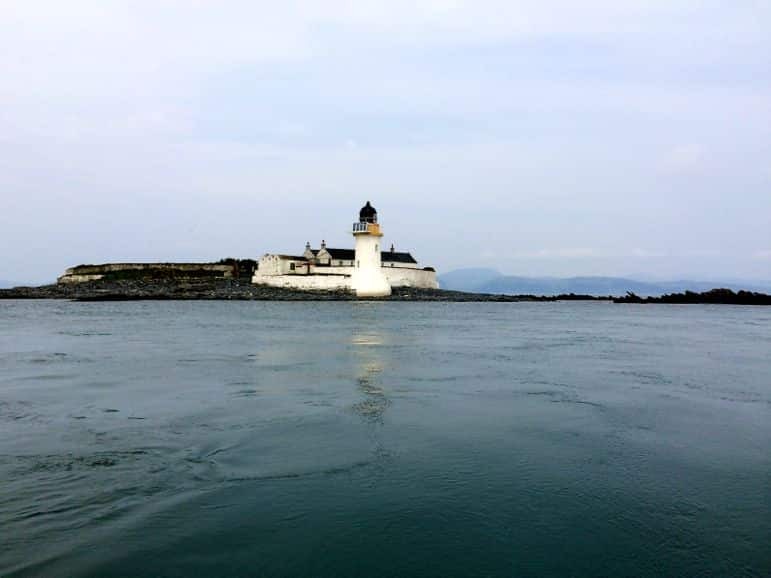 But there’s always more than one way of doing things and when we discovered there were two popular tours of Corryvreckan whirlpool and the Firth of Lorn, we decided to try them both. They offered two very different ways to experience this wild sea – one of us would head out on a RIB Seafari Adventure, while the other would enjoy a more leisurely journey sailing aboard a small boat. Corryvreckan whirlpool is the third largest in the world and is found in a narrow strait between the islands of Jura and Scarba, a few miles from where we were staying at Melfort Village. Flood tides and inflow from the Firth of Lorn can turn the waters in the Corryvreckan into waves of more than nine metres, and the roar of the resulting maelstrom can be heard 16 kilometres away. Many people told me I had to take a boat tour with the irrepressible Duncan Phillips. 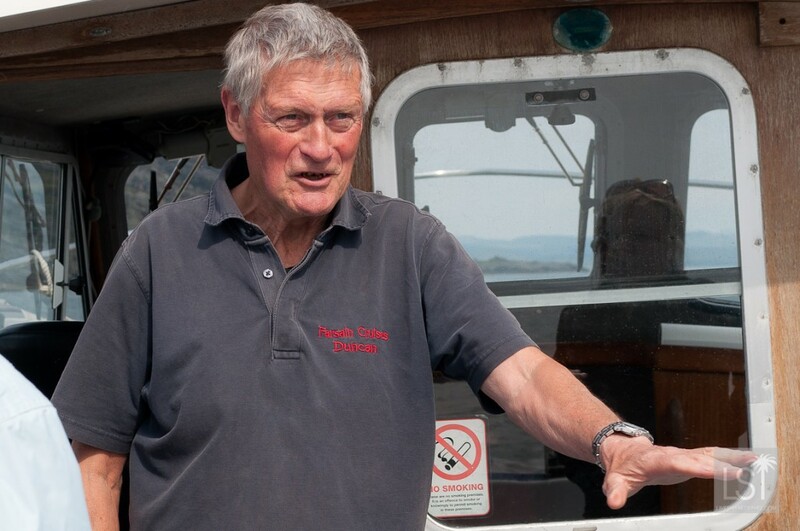 Duncan has been sailing the Corryvreckan whirlpool and Firth of Lorn for more than 24 years. Arriving at Craobh Haven Marina the waters were calm, the port full of boats yet there was hardly a soul in sight. Personable and engaging, Englishman Duncan left the hustle and bustle of corporate London to reside in the tranquillity of rural Scotland. Today, he shares his deep local knowledge and seafaring enthusiasm on daily boat tours. His boat the Farsain is well-equipped, cover is available for wet days and it even has a toilet. 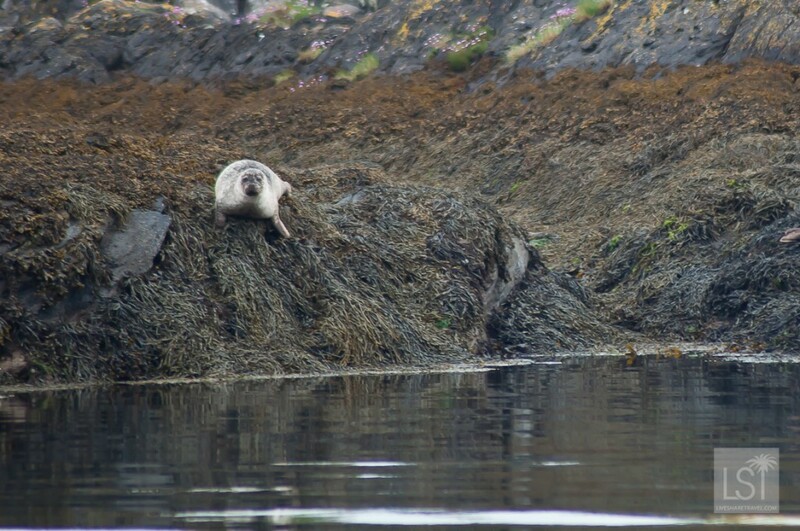 My boat tour was to see the Corryvreckan whirlpool but there was so much more to the Firth of Lorn. Not only is the landscape striking, but it’s home to an abundance of wildlife. However during our three hour tour Duncan, who has an wealth of knowledge about the local seas and best places to spot wildlife, expressed regret at the lack of animal sightings. He bemoaned the lack of dolphins and porpoises. However I was more than satisfied seeing sea eagles, seals, red deer, an otter, wild goats, a variety of bird life including guillemots, shags, gulls, oyster catchers, ravens, gannets, razor bills, and cormorants. 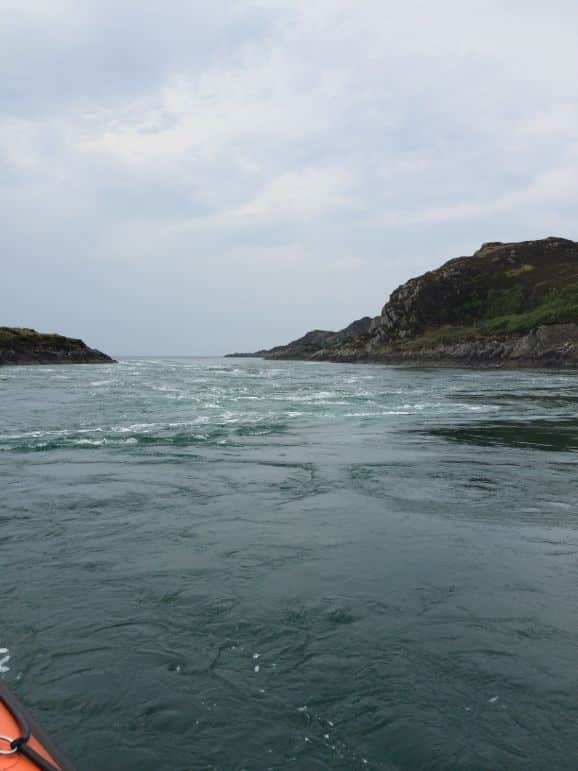 Duncan explained that the Corryvreckan whirlpool can either be a dangerous raging torrent or as calm as a mill pond. On our visit it was so placid that without him telling us we were there we would never have known. But I have to admit, I wasn’t disappointed. In truth I didn’t fancy being tossed around in a whirlpool and instead enjoyed a very civilised cup of tea half way through the boat tour, which we sipped as birds swooped and circled overhead. My three hour boat tour, a delightfully relaxed and informative afternoon, came to an end all too quickly. Farsain Cruises’ boat tours can be arranged by emailing Duncan Phillips. Sailors are not fashionistas. And certainly as I popped one of Seafari Adventure’s bright yellow waterproof jackets over my head and pulled it down to cover the matching trousers, I knew I wasn’t looking my most glamorous. As it was just me, my fellow sailors and the wildlife of the Firth of Lorn bearing witness to my outfit, I figured it was ok. 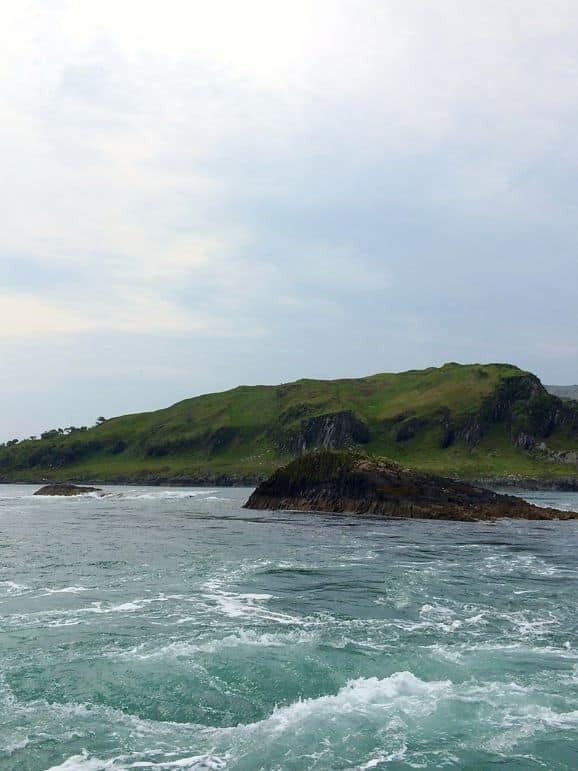 The Seafari Adventure leaves from Easdale on the Isle of Seil. As an island connected to the mainland by the evocatively named Bridge Over the Atlantic this is a real seafaring community. And it’s a good job – everything I’d heard about the formidable Corryvreckan whirlpool made me realise this was territory for hardy sea dogs. Clambering aboard the Seafari rigid inflatable boat (RIB) I checked my life-jacket was secure, and held on tight readying myself for a speedy, splashy and wild journey into the heart of the Corryvreckan whirlpool. 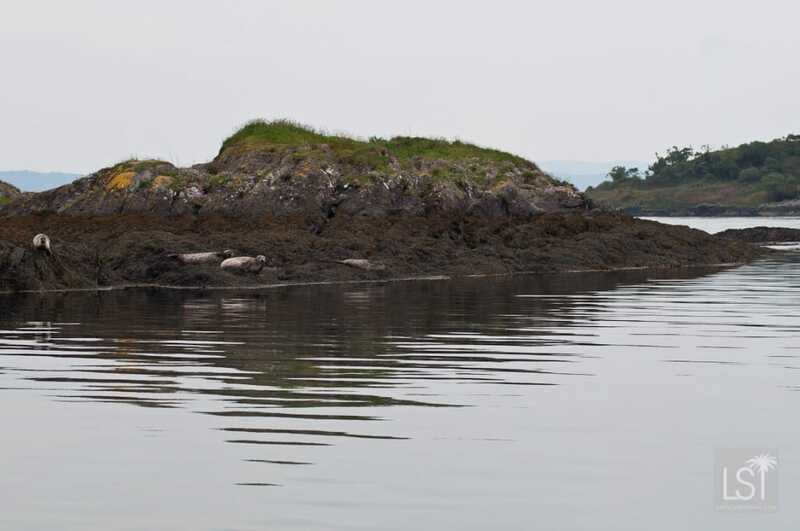 But the sea was calm, waves barely nudging the boat as we set out from the tiny marina in Easdale. Getting into clear water our captain tipped the boat to the right then to the left to an excited squeal from all onboard. I thought we were in for a racy journey, but in truth it was more of a relaxed saunter, with a few rushes over the waves to give us a sense of adventure. It wasn’t the fault of Seafari Adventure – it was just a particularly calm day at sea. But despite all this it was great fun. 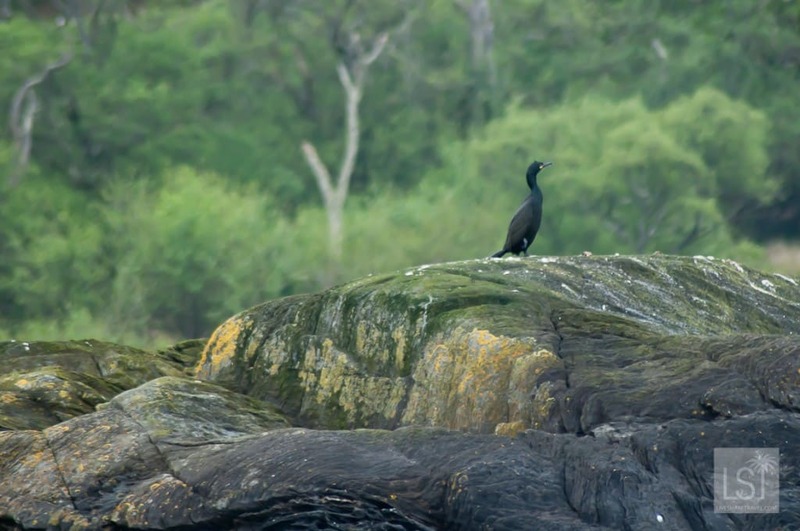 The slight tide however meant there was more opportunity to enjoy the area’s wonderful wildlife and we spotted common and grey seals, sea eagles, red deer, and an array of sea birds, while our guide, Ben gave us the lowdown on each. We were particularly excited when a pair of porpoises started circling our boat, in what was quite a rare encounter with these shy animals. As we sailed on, we had a warm up to the Corryvreckan whirlpool with a stop at the Grey Dog, another, smaller set of tidal whirlpools. From this mild introduction I realised the Corryvreckan whirlpool wouldn’t be too wild a ride. But as we came to the Corryvreckan and drifted across the top of its scooping, swirling rush of water I was fascinated by the form of the pools, the way the water here behaved so very differently to the rest of the Atlantic Ocean. Here’s what we saw (apologies for the sound later on in the video). 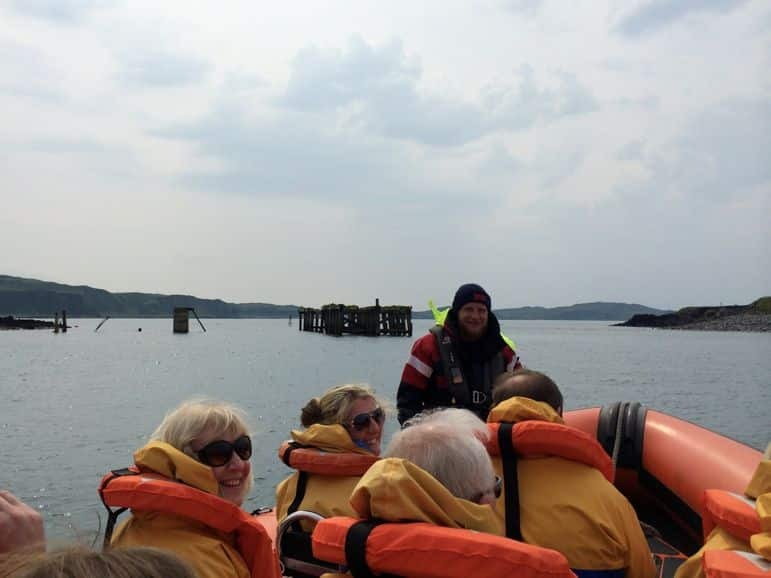 However the Corryvreckan whirlpool isn’t always so tame, and Seafari Adventure also offer thrilling tours just of the whirlpool, during which those bright yellow waterproofs are a God send. 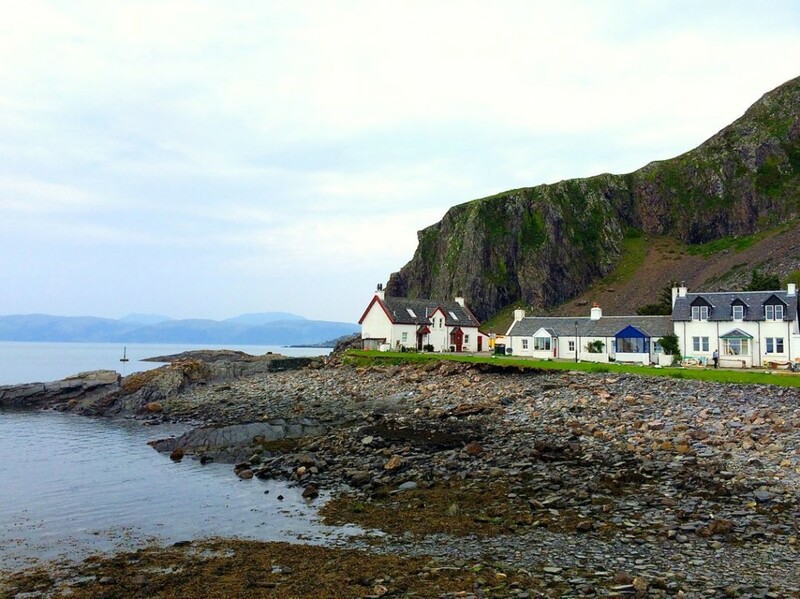 Read more adventures and wildlife encounters from western Scotland and discover more about where we stayed, the lovely cottages at Melfort Village.